7- Works for participation in the contest will be sent to e-mail: weltheimatcontests@gmail.com. The participant should add a photograph and a resume to the mail along with the cartoon. 8 - The deadline for entry to the competition is January 20, 2019. Works submitted after this date will not be evaluated. 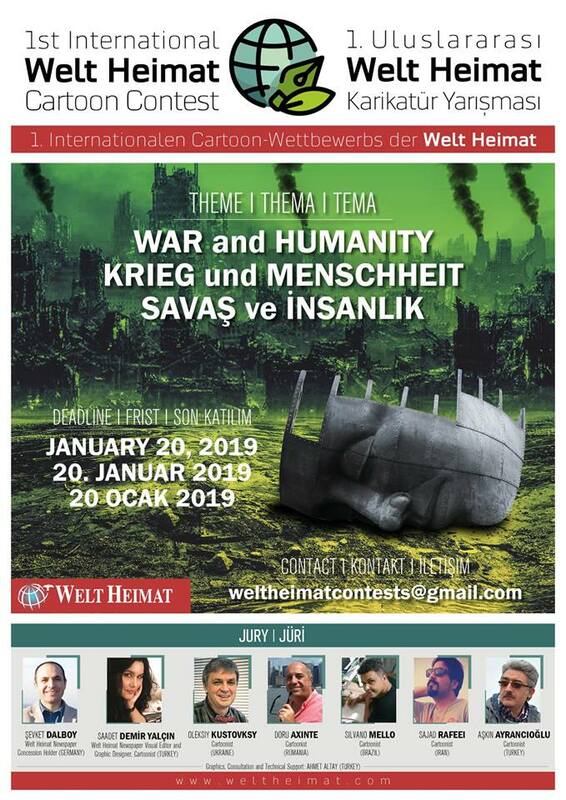 We wish success to all cartoonists who will participate in the competition.